The printers are threatening to down tools if the pay offer is not increased to eight percent. 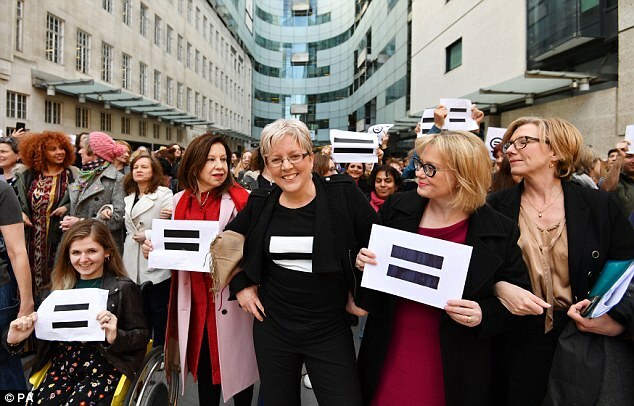 BBC staff gathered outside Broadcasting House on International Women’s Day to call for equal pay. 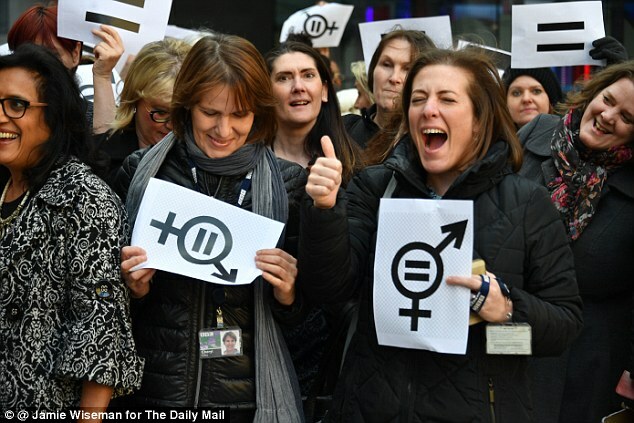 Journalists brandished sheets of paper displaying equal signs as they chanted ‘Equal pay for equal work’. 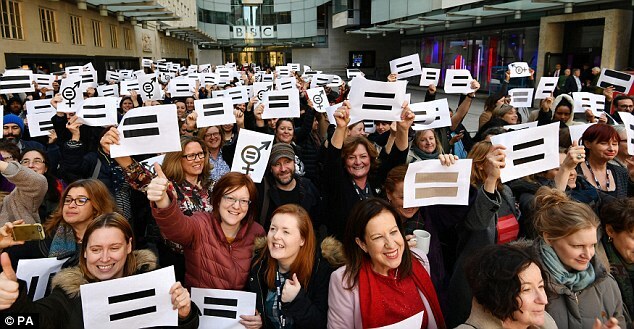 The BBC insists that work to end gender pay discrepancies are under way. They included the corporation’s chief international correspondent Lyse Doucet and Woman’s Hour presenter Jane Garvey, who tweeted about the ‘great’ turnout. She brandished a saucepan at me so I ran out of the kitchen. He looked silly brandishing one of those Star Wars lightsaber. A crowd of protesters, some brandishing sticks and machetes, had gathered. 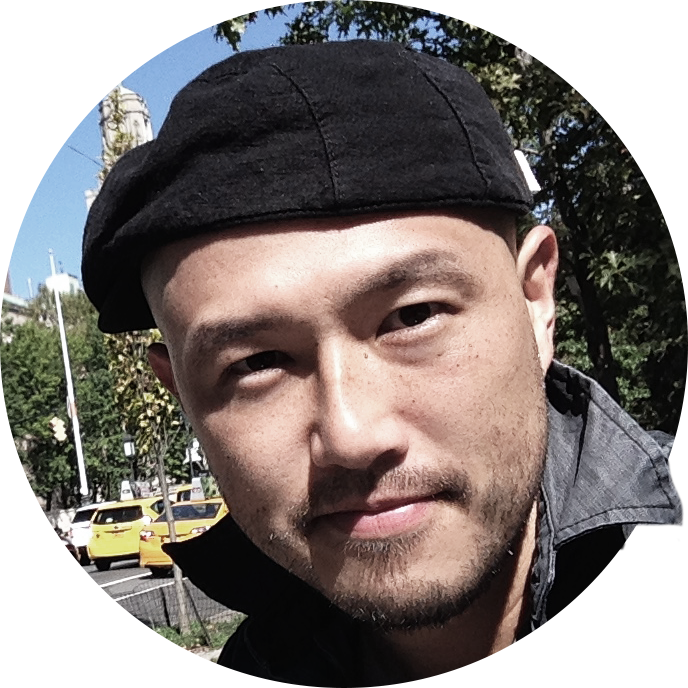 He works as a correspondent in Moscow. She spoke emotionally about her experiences as a war correspondent. Sunny weather helped boost the turnout at Sunday’s rally. Considering the rain, there was a good turnout. Good weather on polling day should ensure a good turnout. Troops raised a loud cheer as the president appeared. ‘Yes it was great to see so many people, and it’s great to see so many men. Isn’t that cool?‘ she said. ‘And it just makes the point that this is not like some people have presented it as a small group of entitled women. The women said they chose to stand at 4.22pm, 9% short of a standard 9-5pm working day, to symbolise a 9% gender pay gap at the BBC. …kids who feel so entitled and think the world will revolve around them. These kids are spoiled, entitled, self-absorbed, and apathetic. After being photographed alongside her colleagues – mainly female but some male – she added: ‘It’s about a movement and I hope the strength of feeling is clear to everybody. 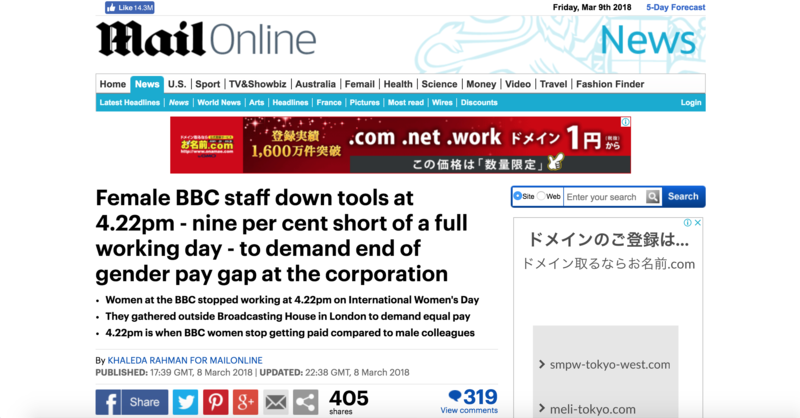 A BBC spokesman said in relation to the protest: ‘The BBC is committed to closing the gender pay gap by 2020, which we’re already underway with addressing. Ms Doucet said it is time, in 2018, to ‘respect the laws and principles of the time in which we live’. A review commissioned by the BBC and published in January found there was ‘no evidence of gender bias in pay decision-making’. The organisation has pledged to work to achieve 50:50 representation across the corporation by 2020. I’m determined to get this piece of work done today. She will get the job she wants – she‘s a very determined person. She‘s determined to make a success of this project. He was determined to find out the truth. Baxter is determined that this year things will be different. Employees are now demanding greater involvement in the decision-making process. She plays no part in the daily decision-making. The bank gave decision-making authority to individual businesses, allowing them to better cater to their customers.